Pros and cons of vaping are listed in detail, giving you thorough information about vaping. Weighing them to your condition, you will make a wise decision. Vaping or e-cigs is intended for smokers who want to lower the risks of their nicotine habit. Nowadays, vaping has become one of the most popular marketing targets as more and more people are feeling the benefits of alternative tobacco. However, there are serious complaints regarding its drawbacks. In order to gain a better perspective on what e-cigs is, here the article will try to figure out the pros and cons of vaping. It is well known that when someone smokes, the resulting toxic air will affect both the smoker and the people around them, polluting the environment at the same time. This innovation known as the vaping or e-cigar claims to definitely and permanently reduce the harm caused by long exposure to tobacco, and ensure a cleaner breathing environment compared to traditional cigarettes. E-cigars promise to completely eliminate toxic compounds found in normal cigarettes such as formaldehyde and arsenic, as well as other carcinogenic elements. When normal cigarettes are lit, there is smoke spreading a distinctive smell of burnt that will hold onto your teeth, skin, hair and clothes. The chemicals within the cigar also stain your skin. When using the e-cigar, there will be no smell and no stains thanks to the odorless and colorless fluid encapsulated in the device. Also, there is no burning involved in the process of using e-cigar, another pro in the comparison of pros and cons of vaping. The vapor you inhale is much more pleasant than the smoke of the ordinary cigar, especially when it is flavored. If you prefer the classic aroma of tobacco, you may opt for tobacco scented vapor. Else, you may choose from vanilla, cherry, apple or mixtures of aroma or even custom-made ones that you can make yourself. No list of pros and cons on vaping would be complete without including the flaws of this innovation. 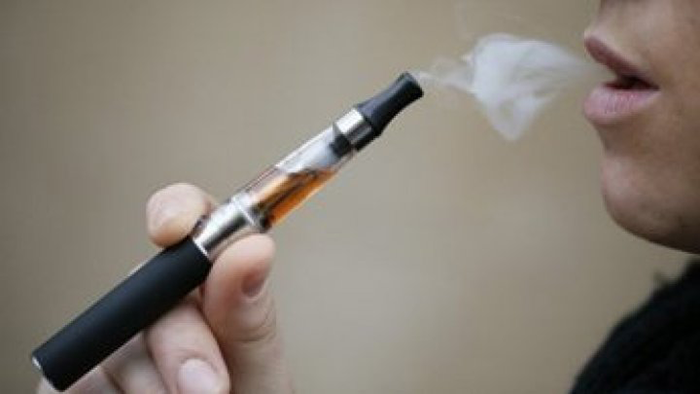 Aside from the above pros of vaping, there are some disadvantages of vaping you need to know. You may choose whether or not to have nicotine in the fluid, but some companies exclusively sell nicotine-based liquids, which makes it harder for a smoker to quit this habit. This way, you only let out other harmful chemicals, but not the essential factor, the nicotine. Also, it is reported that the vaping organism strengthens the absorption of nicotine. The fluid within the device is known to contain propylene glycol, an organic substance which absorbs water. Because of this compound, you may become dehydrated unless you drink water while vaping. Thus, on short term, you may experience dehydration; on long term, you may experience problems with the circulatory system and sugar levels. It can also interfere with breastfeeding, so balance the pros and cons of vaping for your health before you try it out. The batteries used inside the system would expose users under potential dangers like malfunction or explosion. There were news presenting the case of a man using e-cigars that exploded, damaging portions of his mouth, tongue and teeth. Although exploding batteries are nothing new, the thought of it bursting near your face is not pleasant. So far, there is no specific regulation from FDA towards vaping, although the FDA is considering regulating them as normal cigarettes. That is, they will be priced and taxed, will not be bought everywhere and the smokers will have restrictions. Due to its increasing popularity and lacking of regulations, vaping has moved on-line, where you can buy all sorts of E-cigars as well as aromas. Be careful of those that are alluring with their low price, as they may be a waste of time and money, and even bad to your health. Numerous vape pens don't vaporize the THC, they just combust marijuana, keeping you out from the genuine vaping experience. With the listed pros and cons of vaping, here comes the question: should I start vaping? It is important to know that if you are a nonsmoker, there is no advantage in using the e-cigar as they impose some risks with no health benefits. Or even, it may gradually introduce the smoking habit to you. If you are a smoker trying to quit, e-cigars have not been yet proven effective when dealing with an addiction. And you may find out you're better off with the nicotine patch or gum or any other FDA approved effective method. If you are a smoker not trying to quit, the e-cigars may come in handy for your health. They are free of carcinogens and other chemical compounds that affect the respiratory and nervous systems, but not entirely inoffensive.